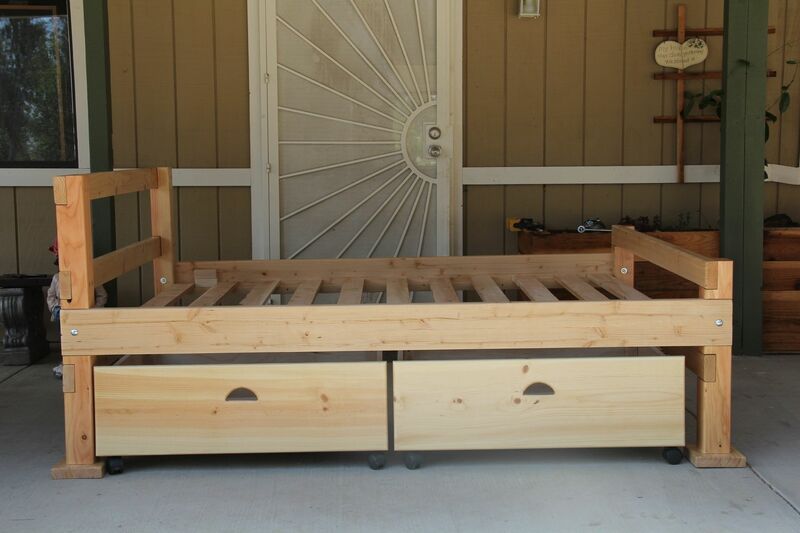 This bed is made with pine with a natural finish which highlights the beauty of the wood. This early American rustic style bed comes in twin, full, queen and king sizes. You also have the option of stain color and finish to match your home decor. A set of two large storage drawers can be added measuring 30 inches wide, 36 inches long and 9 inches deep. The drawers are also made with pine and equipped with casters making them very durable and easy to move. 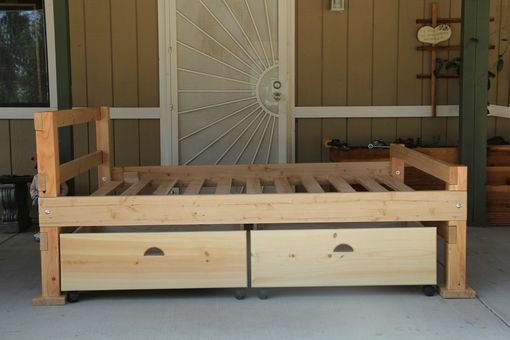 These beds are custom built and made to order. You can change the stain color, type of wood and even add features to make it uniquely yours.